Plan a vacation to Hong Kong today and opt for the best bed and breakfast Hong Kong hotel there! Camlux Hotel is the best hotel choice one can make when exploring the city on vacation! It is a known fact that HongKong is one of the most expensive places in the world. Living there is not a great option for most. However, when it comes to traveling and tourism, discovering HongKong’s beauty is a privilege only the most fortunate get to see. It’s a city that is a unique mix of east and west traditions, culture, and lifestyle. The array of attractions, skyscrapers, beaches, parklands, other wonderful sites this offers is literally one of the many reasons one should go to Hong Kong at least once in their lifetime. Get yourself a Bed and Breakfast Hong Kong hotel and have a memorable vacation there! Hong Kong as a city is very well developed and a seasoned Hong Kong traveler will tell you that it is tourist friendly and an exciting as well as an adventurous place to be in. There is so much to do and see in Hong Kong that you probably won’t be able to cover it in a single trip! That is why it also makes this city a luxurious travel destination. Hong Kong offers some of the best high-end deals as well as some of the least expensive ones without any difference in class and service. That is why even if you’re on a budget, a simple bed and breakfast Hong Kong hotel can also suffice for a wonderful and easy, cheap stay. Cheap accommodations are easy to find in Hong Kong. It’s a place of extremism because of which you can enjoy the country at any budget. There are many Hong Kong hotel deals with breakfasts that you can choose from. If you book the hotel in advance, you will surely get the best bed and breakfasts Hong Kong hotels that have all the services you need. The places offer free Wi-Fi, free use of the gym and other facilities as well as a good deal off on the available prices of the bed and breakfast Hong Kong hotel. Accommodations with at least one free meal can make a huge difference when you’re traveling on a budget. This free meal is usually breakfast. But once that’s out of the way, you can explore the city for more of its local food. Hong Kong hotel deals with breakfast are common and easy to find. These deals usually include breakfast for two and if it’s a family room, then for three or four individuals. Places like this are also always near the city center and places of fun as well as sites of attraction. Hong Kong is a place worth discovering and exploring even on a budget! 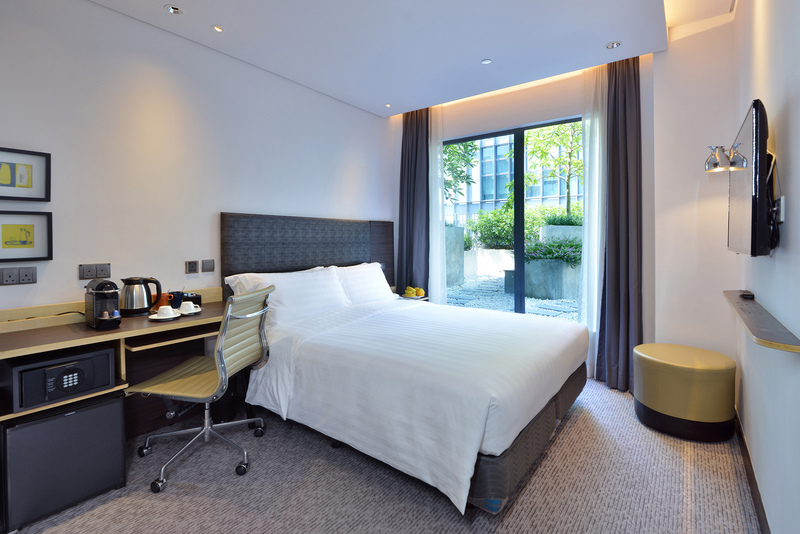 Check out the Hong Kong hotel deals with breakfast that is being offered at Camlux Hotel. The hotel is an ideal place to stay when one is on vacation in Hong Kong. The hotel is centrally located and offers various promotional offers for early birds as well other others. Check out the site and book yourself a room at a budget at Camlux Hotel today!